Friends of ours accompanied us for dinner at Manresa on our anniversary. 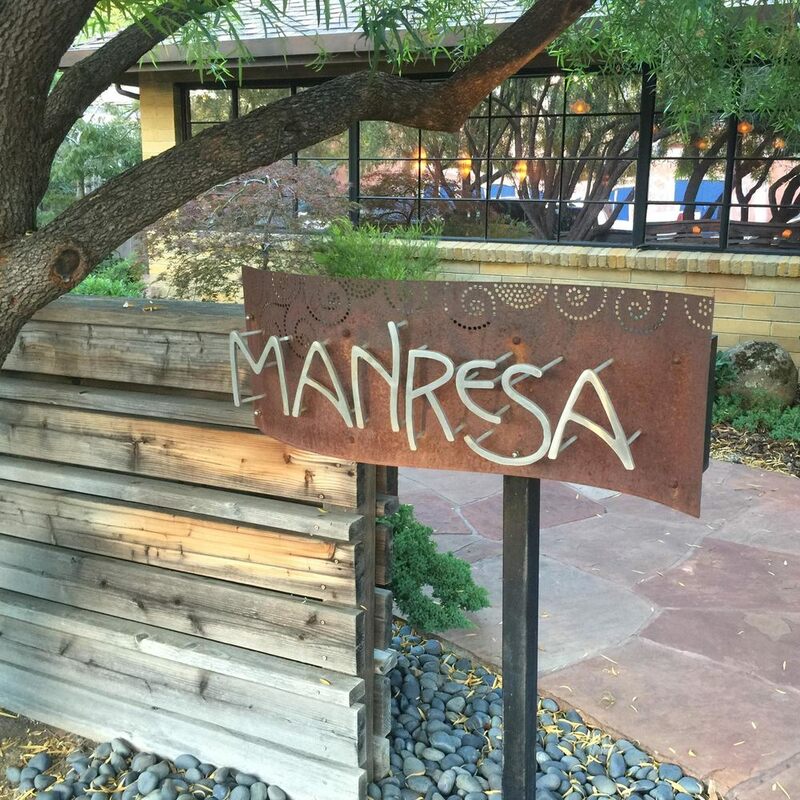 From the moment we walked in through Manresa’s tall front doors we were welcomed and made to feel like the staff had been waiting for us. Inside, the décor was minimal and elegant. We were escorted to the lounge area to wait for our table. A woman walked up to us, thanked us for coming and let us know that chef Kinch was excited to cook for us that night. We felt like VIPs. The meal began with a collection of small bites: red pepper and black olive petit fours, and savory granola crisps topped with a variety of seeds and grains. With each course the food became more beautiful and flavorful. Chef Kinch came to our table, introduced himself, and thanked us for coming. He mentioned how he thought ButterJournal was interesting and that he hoped that I liked his butter (which of course I did!). The waiters served three different types of deservedly famous bread along with the butter. 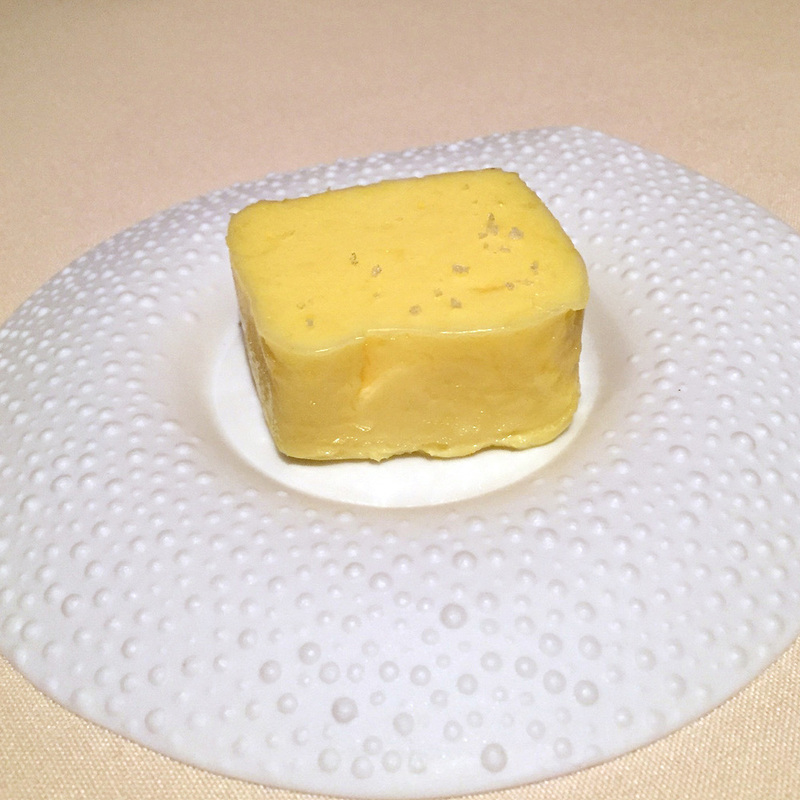 The butter was rich, creamy, and had a delicious fresh flavor. It wasn’t long before it was all gone. Chef Kinch came out to talk with us again later in the evening. He had the wait staff bring out another serving of butter for us. He told us that he had something special coming later, at the end of the meal. The service team was perfectly synchronized and the food beautifully orchestrated. This attention to detail made chef David Kinch's elevated cooking rise even higher. After a host of exquisite dishes, we were served a special treat: old fashioned salted butter ice cream with toasted milk solids and drizzled with caramelized milk jam. 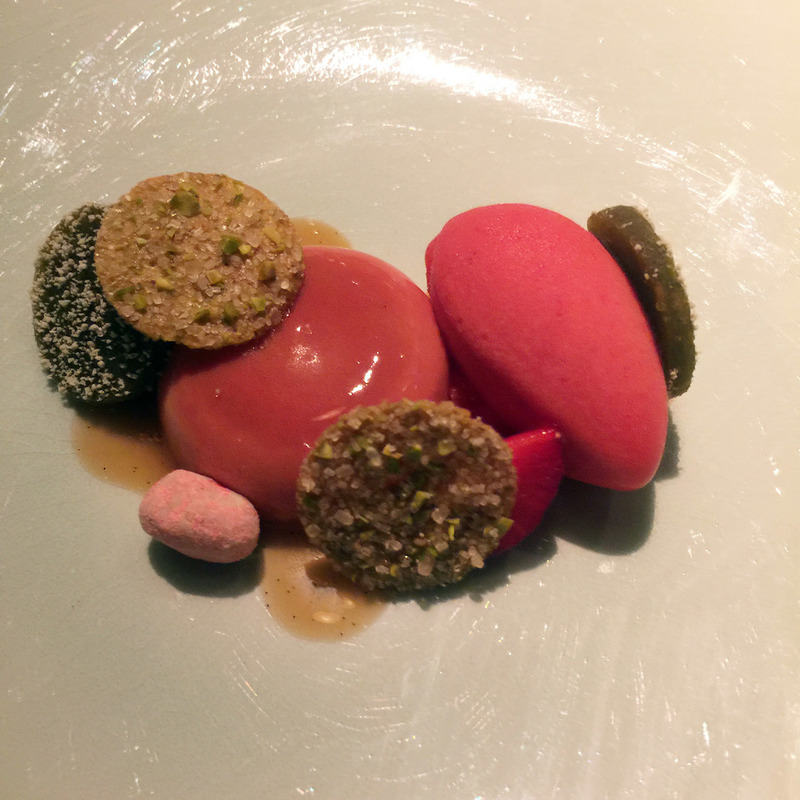 The ice cream had a build up and layering of Manresa’s special butter flavors. It was delectable. As we finished, the staff brought us our printed menus, mini boxes of Manresa’s granola, a few pieces of their celebrated salted caramels, and a some butter in a to-go box. We walked out into the lightly lit courtyard, in awe of the evening and our over three hour culinary adventure. We all agreed that this was the best meal that we had ever had, in flavor and experience. 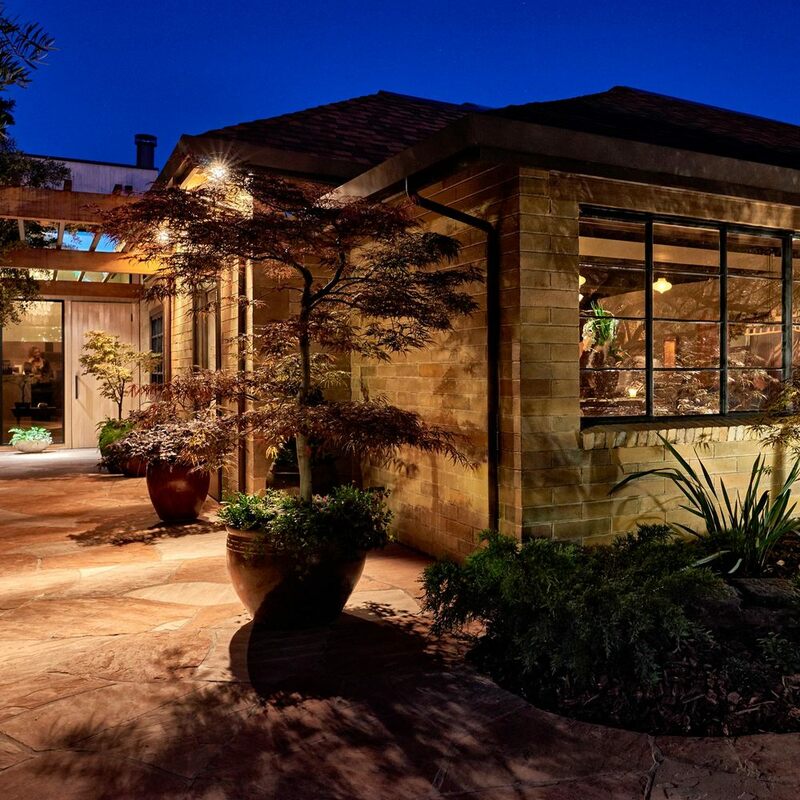 Restaurant: Located in downtown Los Gatos, Manresa Restaurant offers extravagant farm-to-table tasting menus. 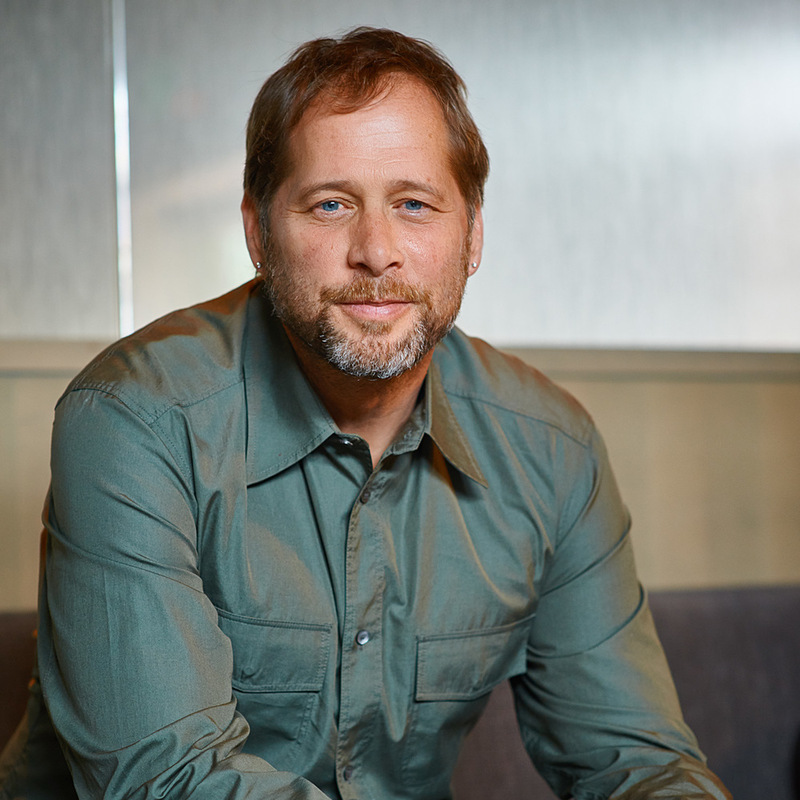 Owner and chef, David Kinch has forged a distinctive culinary path putting him at the forefront of new contemporary California cuisine. Influenced by French and modern Catalan cooking, Kinch finds inspiration from European traditions and refinement, American ingenuity, and the vast bounty California offers. Chef Kinch received the James Beard Foundation’s “Best Chef: Pacific” award in 2010, and GQ magazine named him “Chef of the Year” in 2011. In 2012, Manresa was named one of Restaurant magazine and San Pellegrino’s “Top 50 Restaurants in the World,” and in 2013, Bon Appétit called Manresa one of the “20 Most Important Restaurants in America.” Kinch was nominated for the James Beard Foundation “Outstanding Chef” award in 2014. In July of 2014, a two-alarm fire at Manresa caused substantial damage to the restaurant. After being closed for nearly six months to remodel, which included a complete kitchen rebuild, the restaurant re-opened on New Year’s Eve to popular and critical acclaim. Manresa held two Michelin stars for nine consecutive years, earning their third Michelin star in 2016. Manresa also became a Relais and Chateaux property joining a group of coveted properties and restaurants around the world in 2016. Chef: Originally from Pennsylvania, David Kinch grew up in New Orleans. At 16, he got his first kitchen job and was hooked. He attended Johnson & Wales Culinary Academy in Providence, Rhode Island. Kinch spent years honing his skills at top restaurants in France, Spain, Japan, and Germany. He worked at notable establishments in the U.S. as well, based for the most part in New York City and San Francisco. In 1995, Kinch opened his first bistro-style restaurant, Sent Sovi, in Saratoga. After seven years, Kinch looked for another venue. He opened Manresa in Los Gatos in July of 2002. Manresa garnered national attention in 2004, after Kinch was invited to cook for several top food writers at chef Eric Ripert’s famed Le Bernardin in New York. Chef David Kinch soon found international acclaim as one of the most celebrated chefs of his generation. This year, David Kinch, Gabrielle Hamilton, and The Mind of a Chef team won Outstanding Culinary Host at the Daytime Creative Arts Emmy Awards. We sat next to his Emmy while eating at Manresa. Impressive! Chef Kinch describes the butter’s origins and notes that three to four years before he found this source, they were making butter from Holstein and Jersey cream and it made a very nice product but the Vache Normande was on such a different level it was truly great to find it. When they have a steady supply of cream, they make their butter once a week. Manresa adds either Jacobsen Fleur du Sel or, better yet, their own homemade salt made from water they gather in Monterey Bay. See Kinch’s book "Manresa: An Edible Reflection", for a salt sourcing how-to called Our Salt. Chef Kinch now feels that there is no point in making their own butter unless they have the tremendous Vache Normande source. “When we don’t have the Normande cream we buy our butter from Sierra Nevada Cheese Company,” he says. There are a lot of European style butters out there, but chef Kinch likes the fact that Sierra Nevada Butter is California produced. Chef Kinch lists recipes for Manresa's Our Butter and Nasturtium Butter in his book "Manresa: An Edible Reflection”. Commentary: I asked chef Kinch what type of butter he eats when he is at home. He explained, “A friend of mine, as a gift, gave me a good supply of Trappist butter made in Hokkaido Japan. Which is really superb.” Trappist butter comes in vacuum-sealed cans. Hokkaido is known for it’s dairy region of Japan. Hokkaido is wild and isolated with lots of national parks and surrounded by the sea. “The quality is very, very high. It is something that I have in my fridge at home, other than that I usually take some homemade butter home from the restaurant,” admits chef Kinch.